Many are contemplating a move abroad. Many families and businesses dream and discuss a relocation from the UK to Australia — and they do so for various reasons. Unfortunately, most people will never follow through with the move. Because moving so far away can be intimidating, and help and advice is lacking; ones desiring a move to Australia are unsure of where to begin. Although the thought of moving to another country is thrilling, it can also be tremendously overwhelming, and locating support from experts can mean turning the dream into reality. Below you will find three tips on accomplishing your move to Australia, with expert advice and tricks on how to make the move easier and less costly for you and your family or your business. Request a Moving Guide for Australia: When hearing the word ‘Guide’, travel books, pamphlets and tour guides may come to mind. Although traveling books and literature can be exciting to read and somewhat helpful in your move, you will need a much more detailed guide in progressing with the actual move. In regards to asking for a ‘Moving Guide’, you should locate a personal guide; one who will have expertise on the legalities of the move, as well as tips and tricks to overcoming obstacles, necessities and much more. Finding a personal moving guide will make your move to Australia from the Uk a more pleasant experience. Plan, Plot & Prepare: For a successful move, you will need to have an organised plan-of-action, a strategy and plot for the trip itself, and be prepared for the move – both financially and emotionally. Researching the location of the move, as well as the area in Australia you intend to live is a critical step in the process. The more effort you put into the relocation before you move, and you will be prepared and have a general plan and prospect for what to expect. Having made plans and steps to ensure your housing, travel and work; the closer you are to realizing your dream. Prepare Yourself Mentally: Once you have made all of the necessary plans for your move – finding a job, packing, saying your goodbyes – you will need to prepare yourself, your family or your business for the mental aspect of the relocation. Keeping your expectations in check, keeping check on your mindset, and keeping a good attitude with improve your first impressions and prepare you for accepting the unexpected when you arrive in Australia. Stressing yourself out over the move, and blind optimism will negatively affect your transition. Taking the steps to formulate a plan and to manage your expectations will ensure that your move goes as smoothly as possible. Last but not least, you will need physical help with your move to Australia. With a big move like this, you will need extra hands for physical and mental support. Moving to Australia will most likely be the biggest change of your life. A personal guide – one with knowledge of this type of move, as well as the expertise of making your dreams a reality – will guarantee that your new-found life will be both exciting and everything you hoped it to be. 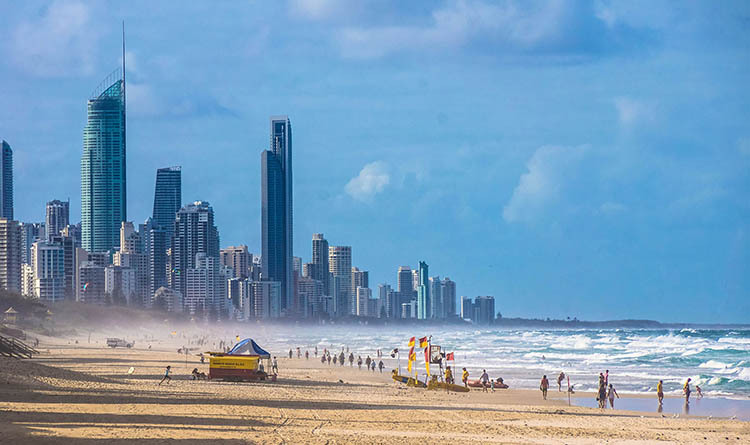 You will need help with the big migration to Australia from the UK, and the Expat Concierge has the expertise and know-how to help you with your move from the UK to Australia. Visit their website at http://www.theexpatconcierge.co.uk/ for professional assistance with your transfer.